- Ben Mink / electric violin on "Losing It"
Signals is the ninth studio album from hard rock band Rush. With the success of the groundbreaking Moving Pictures, Rush continued with extending their use of synth on the albums that were to follow. Signals, the first of these four "synth -period" albums, shares some similarities with it's predecessor; however it really "signals" in yet another new era for the band. Now the synth was immensely overused in 80's rock in my opinion, however, some bands used it quite well. Rush was one definitely of these bands. Opening up with the popular single "Subdivisions", you immediately get an idea of the sound for the album. The album has an overall melancholy synth-rock sound, with the band's otherwise core hard rock sound taking a back-seat. That doesn't effect the quality of the music here much though, as this is still a great rock album. The aforementioned track is certainly great and among the highlights, as is the other popular single "New World Man". It's easy to see why the latter was picked as a single, it's infectiously catchy and reminds me a bit of The Police. However great those songs are, some of the best tracks on the album come from the deeper cuts. These tracks are "Chemistry", "The Weapon", and "Countdown". "Chemistry" has a very grandiose sound mixed with some hard rocking riffs, "The Weapon" is a stomping track with the synth creating a really cool brooding atmosphere, and "Countdown" is simply a fantastic finale. Unfortunately for these three awesome songs, there are three pretty weak songs. "The Analog Kid" is decent, "Digital Man" drags on for too long, and the ballad "Losing It" just doesn't work and has some pretty annoying electric violin noodling that borders on avant-garde. While not quite up to par with it's predecessor and preceding albums, Signals is still a great album in it's own right. I recommend it to fans of Moving Pictures, and I could also see New Wave fans enjoying it as well. One of the stronger albums of the band's synth-era. Hope you found this review helpful, feel free to comment! It's obvious that Rush's zenith was none other than the 1980's, a time considered emphatically by most to be the worst ten years for progressive rock (and admittedly there is some truth to the hyperbole). What gave Rush the edge over the rest of those who hit a low point in the 80's was their ability to be simplistic yet deeply complex seemingly at the same time. A record that exemplifies this well is none other than '81's Moving Pictures. It was a refreshing glimpse into the hard rock scene, and was what I like to call the second coming of Rush, where the legendary trio was once again able to meld the entire rock scene with pure power. Now I am a fan of Moving Pictures but I actually have somewhat of an unpopular opinion, because I believe that their following year follow-up, Signals, is in fact an even better record than it's predecessor. Signals is very similar to Moving Pictures in many ways. For one, Lifeson sounds nigh identical to how he did on the latter, with the same echoey twang that's become signature for Rush. But what I thing Signals did so much better was the balancing of the instruments. I will admit sadly that the bass guitar, an obviously necessary instruments gets buried in progressive rock, and a lot of that comes from how many filters and sounds are layered over it. 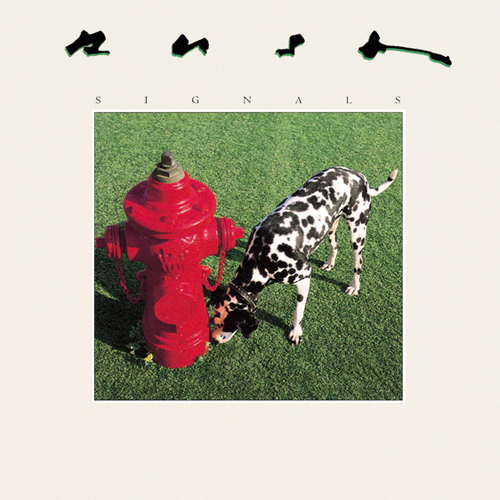 Signals is one of the few records where I can honestly say that Geddy Lee presents his full blown talent to us on the bass without fail, while still keeping Lifeson's guitar at the helm. Peart is somewhat receded in his playing which to a drummer like myself sort of does get under my skin because I know that his simplistic drumming on Signals is a bit of a facade, though he still does still have some great rolls even with his constraints. Most of the songs are either fast-paced swinging rockers or slow, intricate jams. 'The Weapon' showcases one of the catchiest beats by Peart I think I've heard by far, and some of those pseudo-poetic lyrics that I know the band loves dearly (as do I). The two man-centric songs, 'Digital Man' and 'New World Man' are quite different, the former being practically a cheesy b-side from a Moving Pictures track (not a bad thing), and the latter being slow methodical tune that talks about the development of technology and the wonders of one certain man who has harnessed it to his own will. 'Countdown' I love so much but it infuriates me in equal measure. This particular track irks me because of it's potential to become an epic (one that could maybe even be a 20-minute long spectacle). It has so many different coinciding musical themes to it that bounce off each-other, and practically are an introduction to a suite where these different themes will be displayed in their own unique and powerful movements...but alas nothing of the sorts happens. The only song I dislike in any way is 'Losing It', which granted starts out with a particularly creative intro Kraftwerk-like techno tune, but shifts into a particularly annoying ballad halfway-through. Unfortunate because I found the first third and the last third to be dreadfully catchy and particularly good background music. Not exactly 'bad' but definitely not a high point of an otherwise great album. If you show someone who you know who by some mystifying means doesn't know Moving Pictures, and afterwards inquires for more of it, give them Signals. Depending on how well-versed they are with Rush or at least Rush's sound, they may like it the same, or in my case more than other 80's Rush works. Two thumbs way up. The synthesisers had been becoming a greater and greater presence in Rush's music over the course of Permanent Waves and Moving Pictures, but it was Signals that saw the band's dramatic switch from prog metal to progressive synth-rock. Just as they'd brought prog compositional sensibilities to the metal world, they moved into synth rock and made something a bit more complex and challenging than the typical Human League fare. This is bold new territory, and to be honest I think the album isn't quite as essential as Moving Pictures - mainly because the band spend most of the album trying out new ideas and trying to make this new sound work. Still, Subdivisions is one hell of a catchy song and the album's an intriguing listen from beginning to end. Released after the melting-pot album "Moving Pictures", "Signals" represents one of RUSH's biggest musical mutation. The transformation started in 1980 is now complete: dominated by synthesizers, and even sequencers, the music is radio-friendly, less aggressive, contains less guitars. The tracks have all a normal duration and are neither progressive nor metal anymore. Already explored by the band, the reggae sections are also more present. Last point to mention: Geddy Lee's voice sounds now perfectly clean. So... is the end of RUSH as we know it? Yes. Is it worth listening? Yes too. Rather than turning commercial, this evolution denotes the will of the Canadians to explore new musical directions in the new decade, however this does not necessarily result in a soapy 80's pop-rock. After all, this is RUSH. The inspiration is here, and, if the compositions display an homogeneous style, they still use uncommon time signatures. The change of musical direction can be heard from the very first seconds. Featuring passages with different rhythms, "Subdivisions" is a powerful synth-rock opener, with a nice melody. Alternating rocking and calmer moments, "The Analog Kid" is driven by an energetic guitar and includes a cool guitar solo by Alex Lifeson. Nonetheless, the overall is a bit uneven. On the contrary, "Chemistry" is my favorite song of the record. A nearly cosmic overture and heroic melody, it rocks! The very cool "Digital Man" contains top-notch bass playing, reggae-based sections and numerous rhythm structures changes. Even more surprising, the spacey disco-rock "The Weapon" is quite convincing and epic! Then comes "New World Man", a pleasant a soft reggae-rock that an remind THE POLICE at times. Featuring Ben Mink, a friend of the band, at electric violin, I'm not really a big fan of the "Losing It" and tend to find this ballad a bit flat. The only true weak track of the disc for me. The closer "Countdown" is a tribute to the NASA and its astronauts. The song narrates the launch of Space Transportation System-1, the first orbiter of NASA's Columbia Space Shuttle program. The band attended the event in 1981 in Orlando. The track incorporates genuine radio dialogs between the two pilots, John W. Young and Robert L. Crippen, before and during the flight, and is dedicated to them. Not the best passage of the album, but enjoyable. As may understand, we're not in hard/heavy prog rock anymore. No long 70's hard/heavy prog ambitious suites like on "2112" or "Hemispheres" here. No new-wave either. 'Synthetic reggae-rock' could be an attempt to describe the style the musicians adopted on "Signals". For sure, the eighties' synthesizers sound quite dated, but this does curiously not prevent the tracks from being pleasant and original. Again, this is RUSH, so this is still creative in its way as no other band were offering something musically comparable at the time. Furthermore, this opus has a rather constant quality, and remains better than most 70's' progressive bands' releases in the 80's. If you only know the seventies' years of RUSH, prepare for a surprise, but a good one. Accessible and lively, "Signals" opens new horizons for the Canadians, and should please fans of the trio, THE POLICE, or even reggae! 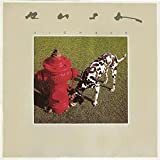 To me much of this sounds like RUSH was very inspired by The Police as well as the whole New Wave sound of the early 80s except RUSH incorporated these sounds and kept a slightly progressive edge that really set this sound apart from anything else even remotely related. A noble experiment indeed but what about the result? Well, for me, I have to admit that I prefer the old RUSH to this new one, however, I am a staunch supporter of bands taking risks and changing up their sound even if the results are less than successful. In this case I think they succeeded in what they set out to prove. Stylistically I love everything from Gorguts to the Go-Go's so that is not the problem. What I do expect is good songwriting and they deliver that here creating strange synth pop / rock tracks that give emphasis to the lyrics which I find very tastily laid out and performed. I know this was a huge disappointment for metal fans and RUSH would indeed go on to put out some very low quality releases in the future, but for me this is an pretty interesting album to listen to. And how can you not love a cover with a fire hydrant on it? I love them so much that I have to keep myself from peeing on the album cover. Now we enter the bottom of the cold dark barrell. Now this album isn't terrible, it's okay but I wouldn't say it's good. 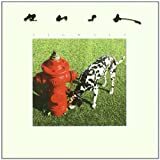 Having left the prog and technical side of things, Rush decided to make their songs sound like...the 80's basically, which I don't mind, I'm a massive fan of cheesy 80's synth pop bands, but I'm also a big fan of Rush, the reason being that they weren't an 80's synth band (if that makes sense). Half of this album is substandard but a big enough fraction is terrible. 1. Subdivisions - I like the Genesis meets Spock's Beard like intro, with synths. The instrumental sections are quite cool. The chorus is ok, but it doesn't compare to early Rush choruses. 2. The Analog Kid - The riff still shows a lot of Prog. Very happy and upbeat rock song. I also think the chorus is quite good. Pretty cool chorus. 3. Chemistry - Very 80's synth soaked intro.The lyrics of the song don't make any sense and the chorus is pretty weak.The verses aren't that bad. They are trying way too hard. 4. Digital Man - Wow, what an amazing bassline throughout the song. This song isn't that catchy and to be honest the instrumentation is the only thing that holds the song together. Way too drawn out length wise. They're trying too hard to become an electro version of the police. It's not working for them. 5. The Weapon - Oh, part II of Fear. But the 3rd part of this song was made before the 2nd, I'm confused. The intro is quite cool. Another weak chorus.Alex Lifeson sounds really bored in this song, just letting a chord ring out for a while, they're not Oasis. The instrumental section is quite cool. There is nothing really interesting with Geddy's vocals. The ending sounds very rushed. 6. New World Man - This song is really good. The chorus is really good and overall the song is interesting. 7. Losing It - I like the intro. The violin is quite interesting. This song is really interesting and quite experimental. I like the instrumental asection with the question and answer with guitar and violin. This song is alot closer to good Rush. 8. Countdown - I like the build up in the intro. A wee bit weak, but overall I like the atmopshere. CONCLUSION: Would have been quite good if some mistakes could have been plastered. No RUSH SIGNALS reviews posted by members yet.